Nice spotting, taxiloco! I only remembered Visions Of Rage and Loving You Like Crazy on the Barry side. The only one I know on the Marques side is Sounds Of Blackness – Testify. First of all, this site – and these sets in particular – are pure greatness – thank you!! Marcus also plays Rude Awakening “The Dip” around the 21:30 mark. You’re so welcome. 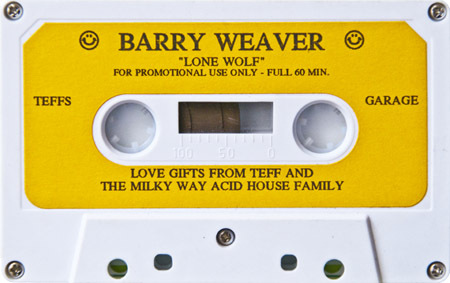 I bought this tape outside of Street Sounds in the Summer of 1991 en route to the Paw Paw Ranch – never thought I would see/hear it again. Finding it (and other great ones) on this site made for a beautiful day! My copy got stolen outside The Casa when my car was broken into for like the 3rd time at that location…….BUT IT WAS WORTH IT. The track on the Marques side at 15:00 is Ellis D-It’s scratched. And it is damn hard to find. 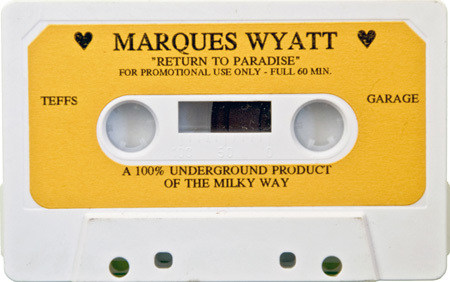 Wow Marques Wyatt, I have not heard that name since “Does Your Mama Know”, Had some great times there listening to all the DJ’s that passed through that afterhours, thanks for the mix!! !